You can read an interesting interview with Claire and Natalie, founders of Our Handmade Collective, on the Talented Ladies Club website. “Many people dream of starting a business making money their passion, and for many of us it remains just that – a dream. But not for Natalie Entwistle. 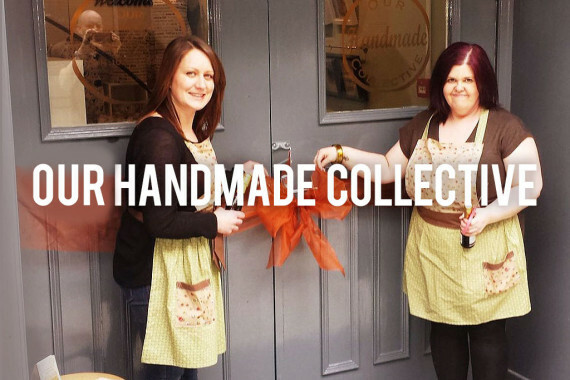 Two years ago, Natalie and her friend Claire Riley started Our Handmade Collective, a shop selling creative products and crafts made by themselves and their friends. Today, they’re managing a thriving, award-winning business featuring 60 makers – and for the past year they’ve been ranked #1 for shopping in Leeds. Our ideal customer is anyone who appreciates handmade products – who recognises the ethos behind handmade products and who appreciates the time and effort that has gone into making them.